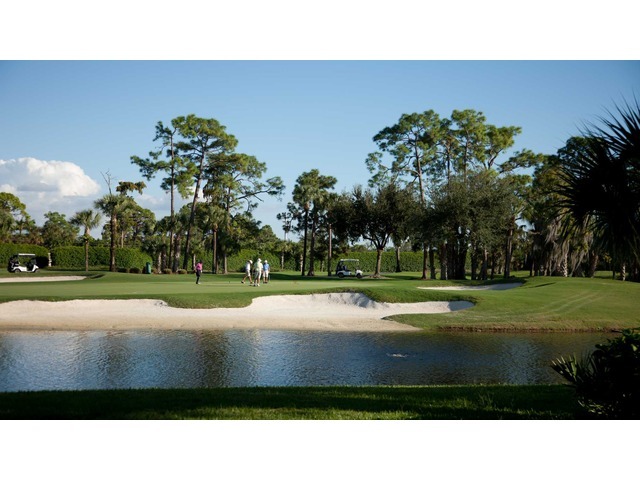 Bear's Paw Country Club is a private, secluded members only residential golf community on 244 acres in the city of Naples, Florida with a membership cap of 297. Bear's Paw features a Jack Nicklaus signature design 18 hole par 72 championship golf course opened in 1980. Bear's Paw Country Club is a blend of single family homes, villas and condominium homes nestled around lakes and wooded areas with spectacular golf course and lake views. All residents own their own golf carts and there is no trail fee. The one and only access for both residents and guests, is the security gatehouse with a privacy officer on duty 24 hours. The entire property is protected by the country club with its lakes, security fences and a new perimeter wall has been completed.